LIMA — The West Ohio Food Bank is hosting a food/personal hygiene and fund drive to bring awareness about hunger and mobilize the community to provide food for neighbors in need. 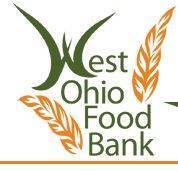 The West Ohio Food Bank is accepting only non-perishable food items for the food drive. It will not accept homemade or glass items. Individuals can donate toilet paper, toothpaste, toothbrushes, deodorant, laundry detergent, bath soap, disposable diapers for adults, infants and children, shampoo, conditioner and feminine hygiene products to the personal hygiene drive. People can also donate money to the food bank on 1380 East Kibby St. For every $1 raised the West Ohio Food bank provides up to six meals to those who are in need.